01-UR Officers holding analogous posts on regular basis or with five (05) years' regular service in the scale of pay of ₹10,000-325-15,200 (5th CPC)/ ₹15,600- 39,100 (PB-3) plus Grade Pay of ₹6,600 (6th CPC)/ Level-I/ with rationalized entry Pay of ₹67, 700 from the Central I State Govt., Universities and other autonomous organizations. 01-UR MBBS degree from any Indian university recognised by the Medical Council of India. 01-UR Bachelor's degree in Physical Education (3 years' B.P.E./ 4 years' B.P.Ed. )/ B.Sc. in Physical Education (3 years')/ B.P.Ed. (2 years' course after graduation) I equivalent degree from UGC recognized University/Institution with a minimum 60% marks or equivalent grade point average with relevant experience of three (03) years after the qualifying degree. 01-SC Three (03) years' Engineering Diploma in Computer Science & Engineering/ Electronics from an AICTE recognized University/ College/ Institution. B. Sc. degree in Computer Science I Computer Science & Engineering or Bachelor's Degree in Computer Application (BCA) from any recognised Indian University/ College I Institution. 01-UR Bachelor of Arts with a major in Education/ Psychology. 03 (1-UR, 2-ST) A Bachelor's degree from any recognized university. 01-UR (i) 12th Class or equivalent qualification from a recognized Board or University. A typing speed of 30 w.p.m. in Hindi on the computer. 02 (1-UR, 1-OBC) 10th Standard pass. 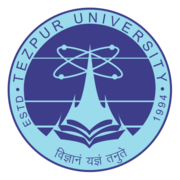 Eligible candidates may apply online at Tezpur University's website (direct link is given below) from 12 Feb 2019 at 09:00 AM to 13 Mar 2019 till 11:59 PM. After applying online applicants need to send the hard copy/print out of online application form along with required documents to The Registrar, Tezpur University, Tezpur - 784 028, Assam. The application with all relevant documents should reach on or before 20 Mar 2019.